When you and your Android device are in a place where there is no Internet connection, you may feel cut off from the rest of the world. It is easy to get rid of this feeling by downloading one of the best offline games for Android 2018. We have compiled a list of the best games for Android to help you navigate the plethora of their names on the Play Store. Read on to explore games of different genres. We will tell you about all the best games of this year. So, let’s go! Major Mayhem is the newest shooter from Adult Swim Games. This guy likes to shoot very much, so help Major Mayhem. Your task is to save a lovely girl as well as the whole world from bad guys. You are offered a huge range of weapons and tools to achieve the goal. 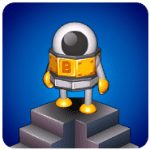 There are 45 exciting levels, 4 game modes, 100 achievements, and 150 mini-missions. Are you interested? In general, you will not have to miss. The game has 3 scenic locations (the tropics, the Metropolis, and the desert) full of crazy monsters. In your arsenal, there are 20 unique weapons and 42 suits and, of course, hats. Do not delay! You can start right now. On the outskirts of a dense forest, there is an old hut, covered with greenery. There lives a hunter, a woodcutter and just a good-natured hero of the original arcade Swamp Attack. Dozens of years there haven’t been any animals, but now there are plenty of guests. Among them are marsh crocodiles, beavers in helmets and flying birds. The hero doesn’t pay attention to the guests and the animals are aggressive. The house of the protagonist will be destroyed if you don’t download the Swamp Attack to your Android and go to rescue him! The game’s world is divided into seventy-eight levels, which are separated into four episodes. In addition, in Swamp Attack for Android, there is a fast game mode for having lightning-fast fighting. At each level, players need to protect the house in any possible way, using different types of weapons and explosives. Control is reduced to pressing a few buttons – for shooting monsters and for using additional items. When you pass the level, you receive the coins. They are necessary for pumping the weapons up or buying new ones. Victory is not far off! Games of the genre “Time Management” are so pleasant. It is fun and interesting to develop a provincial café to the level of a restaurant or a small eatery. It is necessary to make improvements, discover additional ingredients and bonuses for customers, and also develop skills. The novelty Cooking Fever for Android demonstrates the perfect work of cook, waiter, owner of cafe and restorer-designer. Levels and control. A picturesque city of Cooking Fever introduces players to iridescent colors – smiling visitors, friendly training, simplified requirements on levels. The situation, of course, will become more complicated, but the pleasant location will stay the same. You will need to support the mood of customers and get tips if the orders are quick and impeccable. Managing the cooking process is difficult. Something is roasting all the time, the kettle is boiling, there are not enough ingredients… It is necessary to press the right buttons and do it quickly. Customers don’t like to wait! Achievements and goals. The main goal of the players is to make the visitors satisfied. If this task is accomplished, start to pass all the levels as best as you can. One more goal is a complete restoration of the cafe and its kitchen. 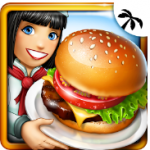 Download Cooking Fever for Android right now and open a business. Customers are already waiting! Inotia 4 is a gloomy legend about a fearless hero who decided to crush the army of darkness and restore calm in the destroyed cities. Events start to occur after generating characters. It is allowed to choose the appearance and determine the class of the future champion. After you start, you will be given a series of story notifications, videos, and dialogues. Upon the whole, it is quite interesting to study the fantastic universe; the new details are added constantly! Gameplay. Battles in the Inotia 4 game for Android are similar to real ones. You’ll have to build a strategy carefully and choose different actions in the right order. At the same time, the chance to make a mistake is big enough. Because of the disabled tactical pause, it is not always possible to make decisions on time. All the enemies represent the perfect replicates of the Middle Ages knights, princesses, well-equipped fighters of darkness. In general, the atmosphere is plausible and attractive. Development and skills. After a victory, won in a foreign part of the universe, you can return to your native city, change outfit, learn a few skills and choose a new test. Don’t forget to tell friends to download Inotia 4 to Android – the project is worth attention! Real Football is a classic football arcade with decent graphics, extensive coaching capabilities and a pleasant atmosphere of fair competition. Everything develops as usual. First, you check your skills at a training match. Depending on the results, the app will advise the level of complexity. Next, there will appear the main menu with different modes and parameters that allow you to fully customize each element of the interface. Control and goals. Particular attention in Real Football for Android is given to the career mode, where it is necessary to turn a beginner club into the most popular one. You are to choose the name of the team, the set of players and various additional attributes, such as the flag and home stadium. After these preparations, all that remains is to use the offered materials to enter the championship. In general, the project’s main function is to entertain and give space for testing. Winning is really difficult and depends not only on the user but also on the weather, team mood and the degree of overtraining. Observe various indicators and distribute the forces properly – this is the main task of the coach. 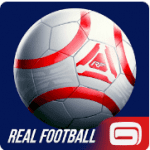 Click to download Real Football on Android and show off your skill! 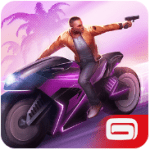 All fans of action games, with elements of shooting, fighting, races, murders, and robberies will be interested in this new game Gangstar Vegas. The game is very similar to GTA for desktops. Now it is available on Android. 1. A saturated plot. During the gameplay, you will feel as if you were running a cool blockbuster. 2. A big game world. 4. A solid collection of weapons, equipment that can be improved, and also the development of the abilities and skills of the protagonist. 5. All the characters in the game are thought through – character, manners, personal story. Are these opportunities in Gangstar Vegas not enough for you? What about a car fleet with a monster truck, a fighter, and a muscle car? If you want to arrange chaos and get distracted from the main plot, you can do it! Arrange fights, participate in fights without rules, take part in races, arrange riots in the streets, go to a casino, or maybe just rob someone. Graphics, dynamics, and physics of the game. You can perform all sorts of game tricks. The control and physics of the game are on a high level. As for the graphics – it may freeze on some devices, because of the overall size of the game and the requirements for the device. The war in support for social equality and political ambitions on the planet Earth ended with the triumphant launch of nuclear warheads. A devastating explosion gave people and animals prohibitive levels of radiation and these radiation doses are causing incredible mutations. The earth has become a wasteland. The only shelters are hidden in the mountains – only there the guests are accepted and it is possible to nurture new people. You are offered to become the proprietor of a radioactive hotel. 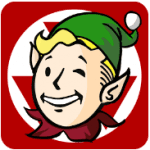 If you desperately want to try it, just download Fallout Shelter on Android! Tasks and rules. Every wanderer and vagabond who arrives at the steel doors of the shelter is wandering in search for shelter, water, and food. The main task of the player is to meet the guests and distribute them according to their innate characteristics. There are three main and several additional rooms which are offered to the guests. All the rooms are provided with food, water, and electricity. You can send strong and armed characters to wastelands to make new discoveries. You will equip each hero with weapons and clothing as well as anti-radiation packs and stimulants produced in the shelter. A character who has managed not to die in the hands of enemies will inevitably come back with points (game currency) and vivid impressions! Not a big fan of mindless games? Then you should pay attention to the strategy genre and especially to the RedSun RTS. This interesting game with high-quality detailed graphics will immerse you in its world completely. You will not only have to fight with various opponents but also think ahead, plan attacks and develop your skills before the battle. The goal is to develop your own base, strengthen it and prepare your army for possible battles. Do not forget about having fights. A strong base, of course, is good, but battles also play a significant role in determining your importance as an adversary. It should be noted that the strategy has a simple and intuitive interface. It is not difficult to learn how to manage your character. Try to go through the whole RedSun RTS experience – you will certainly not regret the time spent. The atmosphere of the game takes you to the past, but the game does not lack modernity. Soccer Star 2018 Top Leagues is a quality mix of two game genres – football simulator and manager for Android devices. It is not the first time Studio Genera Games produces a project of this genre. Relying on their past experience, the developers managed to release a high-quality game, which popularity is rapidly going up. After installing Soccer Star 2018, you must select a country you want to play for. Then write your name and choose a T-shirt number. In this game, step by step, you are becoming a member of the national team in the World Cup finals. The user has to go through the whole path of a real football player – from being a regular first league player to being a star of the national team. Go to the club menu and set up a starting lineup. Pay close attention to this process, because the final results might depend on it. When the match begins, the user does not see the game process – the app only gives you a brief textual review of what is happening. You get involved in the game when your opponent breaks the rules near his penalty area. The main character (football player) under your direction must make a free kick. The graphics are pleasant. Drawing is good and detailed. The visual effects and animation are present. Advertising appears quite rarely. There is a quality sound. 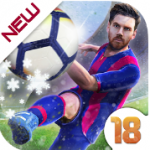 Install this free offline sports game Soccer Star 2018 for OC Android and become a star player of your country. 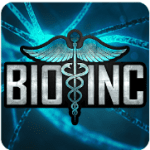 Bio Inc. is an incredibly interesting simulator. The plot of the game is original and very unusual. We are used to being treated by doctors. But what if your doctor wants to make you die by all means available? A player in Bio Inc. plays the role of “Doctor of Death”, who must bring the lethal outcome to a patient as quickly as possible. To do this, the player has full access to all the internal systems of the victim’s body as well as the ability to influence risk factors, diseases and even the process of recovery. During the game, you need to collect viruses that appear in the patient’s body. You can exchange them for the development of some disease or instill a bad habit in the body of your victim that weakens it. You start with the easiest task – to bring the patient to death with a bunch of bad habits. After that, you can gradually unlock more complex levels. The game is so interesting and informative. It can be recommended for schoolchildren. It has beautiful graphics and perfectly shows all the internal systems of the body as well as its diseases and factors that can lead to negative consequences for health. This new simulator is not only an exciting and interesting game but also a good anatomy manual. The Battle of Polytopia is an amazing urban simulator designed for modern Android devices. The plot of the game takes users to a fantastic universe where the representatives of the greatest nations of human civilization fight with each other. What role will you choose? A fearless Viking, a proud Roman legionnaire, a freedom-loving Indian or a warlike Spartan? 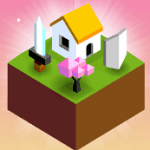 The Battle of Polytopia is a free strategy where all events occur in real time. At your disposal, there is a whole settlement, which, with good leadership, can be turned into a powerful state. To achieve this, it is necessary to use a whole set of tools, present in strategic, industrial and military buildings. In total, there are four types of land in the game. Each map is a unique set of natural resources that affect the gameplay. In addition, all levels are generated randomly, which gives military clashes the effect of surprise. The application has a well-developed intuitive user-friendly interface. All the battles take place in an interactive mode. It is convenient to monitor every single battle. The creators of the project regularly update the app, which brings new civilizations, buildings, and technologies. All these factors make The Battle of Polytopia a high-quality strategy, made in a colorful retro style. Rules and control. 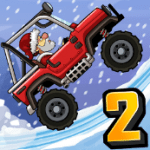 Long jumps with tricks and acrobatic maneuvers, fighting for cans with gasoline and total improvement of any vehicle you get or receive as a gift – the racing arcade Hill Climb Racing 2 offers all of this, but with radical changes in physics and gameplay. You will also see be more additional awards, a complete reconstruction of the character, special accelerators. Actions and levels. The goals in Hill Climb Racing 2 remains the same. You have to drive on rough terrain, monitor the fuel in the tank and try not to be damaged when jumping on the trampolines. After the next arrival, you are allowed to return to the main menu and make a number of changes. You can, for example, buy new details, open accelerators or completely change vehicles. Improvements and purchases. There are stickers, paints, wheels of all colors and brands, and also powerful engines, bottomless tanks, and other elements available. And if you just pay for everything with virtual currency, the real bacchanalia and insane struggle for the first places in cups and tournaments will begin. Be sure to download Hill Climb Racing 2 and see how the project has changed after the update! The company Gameloft knows how to win the hearts of gamers, and the proof is the game Six-Guns for Android. The plot will take you to the wild west, where your character is a desperate cowboy. Having lost his wife and hope for a better life, he decides to help those who are in trouble: beautiful ladies, the sheriff, Indians and other inhabitants of the area. At your disposal, there will be a pistol and a horse, which are designed to help the cowboy in dangerous shootouts. At the beginning of each level, you will be given a task. After arriving at the point shown on the map, you must start shooting at the enemy and finding shelter. For the completed tasks, you need to get experience, gold and occasionally more valuable currency – the silver stars of the sheriff. The received money can be used to buy clothes, weapons, horses, medicines and other updates. By the way, these items can also be won by taking part in the daily lottery. Graphics and sound effects really remind the wild west, which makes the game even more fun. That’s why Six-Guns is worth downloading. If you want, you can try your hand at the multiplayer game. Show everyone what a real cowboy means! Mekorama is an experimental puzzle game, with an unusual geometry of levels, but a rather mediocre storyline. You will not find the info about the main character or the game universe. Even notes with valuable information can not be found – you have to find out everything on the go. The iron robot is most likely the guinea pig in the world that consists of blocks and mechanisms. Unfortunately, the locations are just a collection of unrelated cards with tasks. Control and location. Mekorama starts with a fairly predictable training. First, you have to deal with the camera and the character. After clicking on any place on the map, the tiny robot will start moving. If you swipe across the screen, the camera will turn. The mechanics are simple on every level. Graphics and style. The graphics are nice. The only problem here is that the project lacks originality. Yet the puzzle needs to be given a second chance – the set of levels is very entertaining, if you play it for the first time. Traffic Rider is a spectacular first-person racing with several modes, a huge set of motorcycles and complex levels based on goals with different conditions. The game action takes place on a busy highway, occupied by cars. Players will have to drive a motorcycle and perform tasks set at the levels. Sometimes you have to go a certain distance, sometimes make risky maneuvers. The difficulty depends on the chosen motorcycle, the speed and the busyness on the highway. Tasks and rules. The racing arcade Traffic Rider is based on a single career with various levels and tasks with valuable rewards. In addition, players will be reminded of the possibility or need for improvements. On the road, everything is predictable – maneuver between the flow of oncoming and passing cars, take risks, develop maximum speed and get rewards for genuine madness! Graphics and roads. The arcade looks stunning – incredible detailing of objects, cars and all scenery, dynamic shadows, and a change of day and night! So, click to download the Traffic Rider to Android, start setting records and share the results with your friends! Age Of Strategy is a classic turn-based strategy with a stylized 8-bit graphics. More than 300 maps with historical and fictional battles are here. The game will take you to the era of empires and knights. You can go through campaigns with links to real historical events (for example, the Trojan War), but in multiplayer mode, you can fight with the armies of other players. There are 170 maps for campaigns are available. There are also 40 random maps for step-by-step online battles in real time. In the game, there are 25 different technologies that can be developed, as well as 80 types of units. So, it is possible to form your invincible army. 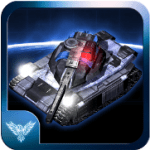 Collect gold stars and crystals to unlock new combat units or new types of tasks. The game is completely free. You do not have to invest real money to win, but if you want, you can support the developers with voluntary donations. The project is constantly developing. This is a virtual world, which completely recreates the atmosphere of the 18th century, the era of Napoleon and exciting military battles. 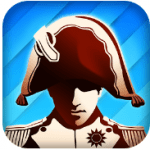 European War 4: Napoleon is an exciting step-by-step role-playing strategy for mobile devices with exciting gameplay and colorful graphics. There are several modes available in the game. In the “Campaign” mode, you will have to pass exciting missions for a certain number of rounds. Initially, only two missions are open. Then, new ones will appear. There are 6 campaigns, consisting of 84 missions (in total), in 8 cities around the world. The “Conquest” mode consists of 6 maps, each of which is dedicated to a specific historical event. In this mode, you can try your hand at 40 countries. The goal is to conquer all enemy’s cities in 999 moves. You have to choose a general for yourself. The choice is huge – 200 military commanders, each of whom has his own skills and abilities. In the beginning, only basic generals with minimal skill are available. Go through the missions and earn or change gold, food in special cities. You can also get it all by developing your own city, building farms, factories and ports. Create and pump up your troops, develop your own strategy of fighting, use the already known tactics and your army will become invincible. Can’t wait to start? Then install European War 4: Napoleon on your gadget and enjoy the exciting gameplay. Dynamic game Stack will allow you to kill time! A perfect combination of simplicity and complexity, graphics that are nice to the eye will please every user. The gameplay. You need to build a tower, but it’s not so simple. Plates should ideally match in size, otherwise, the extra space will simply be cut off, which will complicate further construction. The higher the tower, the faster the plates come. In addition, they start popping up from different sides. So, you should have a quick reaction! Make your tower as high as you can. Let the Babylonians, New Yorkers, the Dubaians envy you. Try to touch the screen exactly at the moment when the plate is ideally adjusted to the area to the tower, reach the sky-high tops in both constructions and rating of the players from around the world! This game is a great way to have fun on a trip or for relaxing before going to bed. But be careful while playing during lessons, you can miss the call! Simple, yet very pleasant game, 3D graphics, quiet music, slowness, and far from boring gameplay will allow you to kill a lot of time. 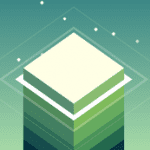 Build your beautiful tower with Stack! Storyline. Human cities are covered by the terrible Z virus from the first part of Earn to Die. Many houses are still glowing with cleaning fire, quiet streets are occupied by ghouls, cars are thrown around, and stores are looted. The survivors still stay in the city. Everyone knows about this, but the military organizations should have tried to save the city earlier – now it is too late for the rescue mission. No more battles are being fought, and people are left to their fate. Levels and zombies. The racing arcade Earn to Die 2 offers players to save themselves and avoid the apocalypse, using various types of cars, as well as improvements and weapons. Initially, the reserves are scarce – the cars are easily susceptible to accidents, there is not enough fuel. And you can only dream of guns! But with each passed level and defeated zombie, it becomes easier and safer to move. Machines and the world. 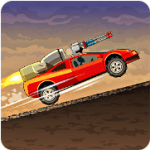 In the Earn to Die 2 race for Android, there is a rather unusual choice of cars – there are racing models, fire engines, and siege technology, with an incredible array of weapons. Each car is evenly damaged if the players are moving ahead, constantly destroying the surrounding objects. 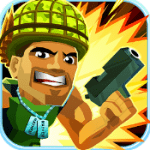 Try to explore the world in a safe mode – shoot zombies, break boxes and move towards the goal! 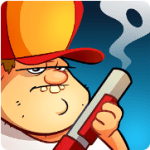 Download Earn to Die 2 on Android right now, do not miss the continuation of the series! It’s hard to believe that such a simple game can have such a huge number of battles, which, moreover, are intertwined with an incredible number of stories. Angry Birds Star Wars 2 is a cocktail game that no one has expected. The sixth part of the famous Angry Birds series became one of the most successful and was twice nominated in the category “Best Game of the Year”. All its charm is not in the famous birds and guinea pigs but in its unique scenario. It all starts with the Tatooine episode, which is only the tip of the iceberg. The new version of the game is designed for Android and it’s possible to pass the levels wherever you are because the phone is an integral part of the modern person. Having opened the next level, a player enters a new exciting world, the name of which is the Death Star. Then, having passed this second level, you can get to the next planet Hot, where you will need to develop your strategy of passing the level. The next planet that you have to go through is the Jedi Way, where the difficulty level is higher, but then it will already be impossible to tear you away from playing this game! The cloudy city is the next step on the road to victory. The next level is the mission of Boba Fett, then the moon of Endor and finally the Bonuses of the Golden Droid. All levels will give you an incredible pleasure because this game is not just for killing time – you will have to work out your own strategies, mentally count the moves in advance to get the best result. What’s next? 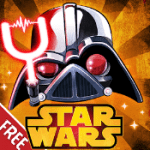 There is one thing left – download Angry Birds Star Wars 2 and enjoy the game as long as you have enough time for it. In just a few minutes or even seconds, you will get a unique game that won’t let you down or make you bored – instead, it will give you the opportunity to think. Fans of the genre Tower Defense should be pleased with the advent of the game Kingdom Rush. This is one of the best representatives of this genre. It all begins with a small battle of knights for a castle, after which the pace of the game increases. After some time, a real epic battle begins on the screen of your mobile device. 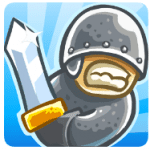 The knights are trying to protect the castle against attacking hordes of enemies. Kingdom Rush is recommended for download to all fans of fantasy. After all, orcs, trolls, and other scoundrels are in the role of enemies in this game. The most dangerous are the evil magicians. They have destructive spells. Therefore, you need to cope with the magicians quickly. There are eight types of towers for defense. The Knights have 18 different abilities. If you place them properly, no enemy will be able to break into the castle. However, it requires serious reflection and reaction. The game has a built-in system of achievements today. In total, in Kingdom Rush, there are thirty different enemies who cannot wait to capture your home. The game is remarkable for its peculiar humor. You will find references to such blockbusters as “Evil Dead”, “Die Hard” and many others. 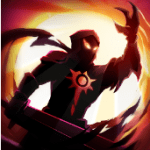 Shadow of Death: Dark Knight is an action for Android, designed for fans of spectacular 2D-fights with ninjas. In the beginning, we will be asked to enter the name of our hero. As soon as we enter our nickname, we go to the game interface. On the left part of it, there is our ninja. Around it, there are various keys for outfitting, receiving gifts, etc. At the top of the main menu, there are indicators of in-game currency, energy, and also how many more commercials we can watch today (advertising inside the game does not prevent playing, on the contrary -it helps to double profits after passing the level, earn in-game currency and energy). 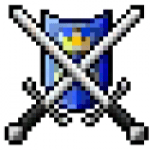 Adventure – going through levels, extracting objects, skills, and in-game currency. To force the ninja to move around the location, use the joystick on the left side of the screen. On the opposite side, there are buttons for jumping, attacking and three super-hits. Each battle takes 1 energy indicator. 2. 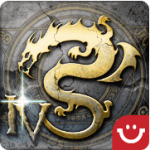 The application is undemanding to the device, but it can slow down a bit, especially in moments, when the number of enemies exceeds the mark of 10. 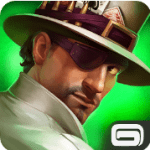 All in all, Shadow of Death is an exciting free action for mobile devices with Android operating system. MOBIUS FINAL FANTASY is an adventure role-playing action game that tells the story of Wal, a hero who lost his memory and found himself in the disparate world of Paramitia. The story develops in an unusual way. The hero is having nightmares and goes in and out of the state of consciousness. The combat system is learned during training. Other details, such as role development and selection of tasks will be opened later. The main task of Wal is to protect the people of Paramitia from the invaders. Role-playing elements. The MOBIUS FINAL FANTASY project for Android preserves the hero’s traditional principles of the hero development. There is a system for calculating the experience. Also, there is an ability to improve skills and characteristics, both through the development and the found parts of equipment and weapons. The key to gaining experience is in the fight against powerful opponents. Combat system. 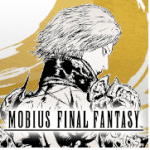 Downloading MOBIUS FINAL FANTASY on Android is recommended to all lovers of the original series. There are the same elements of development, the same dangerous and non-standard world, the same combat system: turn-based battles with the ability to combine punches and various abilities of defensive and attacking character. Get experience, develop abilities and fight opponents around the world! Make More! 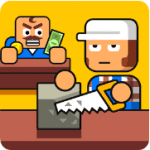 is an attractive simulator of the factory business, based on the “Clicker” genre. Users hire a team of employees, and then train all the necessary skills in them, trying to earn as much money as possible. The gameplay is fun. The characters sit down at the workstation and begin to cut the desired object out of the piece of material. For example, you can get a nut out of a piece of iron, a skull – from a stone, and, well, rubber becomes the basis for making a yellow duck. Controls and rules. All controls are completely touch-based. The navigation through the menu and sections is improved. The rules are just as simple. It is enough to fulfill the orders of the chief, but you can also try to exceed the plan. In the end, everything will be accumulated, and glory will come! Tasks rarely change. The to-do list is displayed on the screen and remains unchanged until the end. Factories and development. Simulator Make More! for Android has an attractive mechanics and charming graphics. Unfortunately, there is no diversity. Although the details change and there are a lot of characters, doing the same type of orders in production can quickly bore you. We have to look for additional tests and unexpected goals. And this, sooner or later, also turns into routine or endless pumping. Click the download button and check the project yourself! In the center of the city, the gates of the shadows are opening. The demons, armed to the teeth with the sharpest swords, are coming. The sunny morning turns into a bloodbath. There is no hope anymore. The survivors plunge into irresistible longing and sadness. The shadows receive absolute freedom when suddenly the leadership goes in the hands of two characters instead of just one. The student of the shadow school of martial art appears. Players will manage this daredevil in Shadow Fight 2. The gameplay and rules. Before receiving the title of savior of the universe and the modern hero, a player will have to undergo a small training – learn how to walk, jump and attack with combinations of punches and kicks. Basic actions are building blocks for the entire combat system. It is necessary to choose combos at lightning speed and apply them in action, simultaneously evading the attacks of opponents. For every victory in a battle, you will be rewarded with money and experience. It is allowed to use them in a local store: for buying weapons from hundreds available, improving the characteristics of the hero, learning magic and unique techniques. Each battle lasts up to two victories. The outcome depends not only on the development of the character but also on your sleight of hand and the ability to think quickly and logically. Shadow Fight 2 for Android is amazingly animated. The battles are not only realistic but also spectacular: rolling, jumping, kicks in the air. The mechanics of the game create an illusion of infinite replayability and endless interest. The controls are two buttons and your fingers movements. Surroundings of bright and warm colors: tatami, fusuma, shoji, complete a unique oriental atmosphere. Shadow art is difficult to master – the battle philosophy is known only by few. Maybe it is exactly you who needs to download Shadow Fight 2 to Android and demonstrate chosenness?